Go to the dashboard > Post. 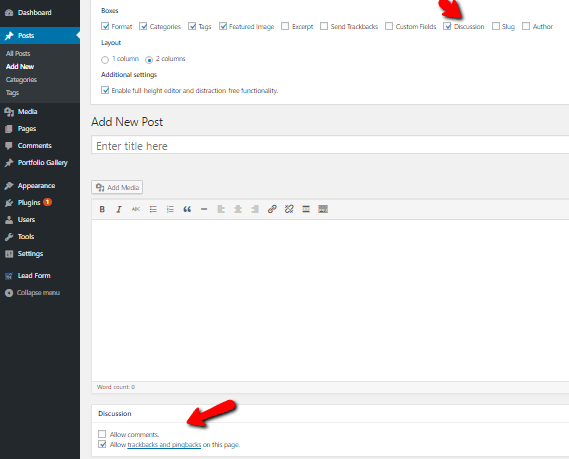 In post you will see a Screen option tab in the top right-hand corner of your panel. Click to open the screen options tab. Tick the box for Discussion. Click the Screen Options tab again to close it. Now, scroll down the page to Discussion settings and untick the box for “Allow comments” to disable comments on your post.